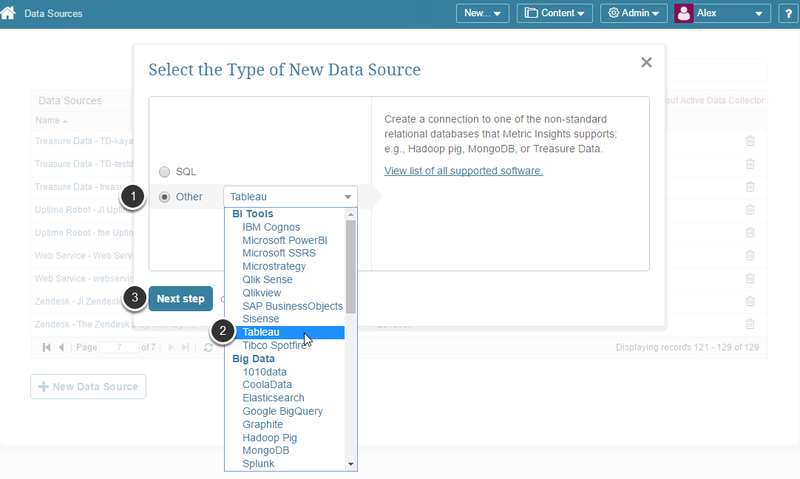 This article describes how to connect to the Tableau Server in order to use Tableau reports as data sources in Metric Insights. If your Tableau Server is accessible from your Metric Insights server over the network, this is most likely the best solution. General instructions for establishing a Data Source based on a plug-in can be found here. Specific settings for this approach follow. Prerequisites to creating a connection with Tableau server are described in this article. If you are connecting to Tableau Server, then follow the instructions for establishing connectivity, either directly or via a remote data collector. Start by adding a new Data Source. If necessary, open the sections below to enter Optional Parameters and Advanced Configuration. 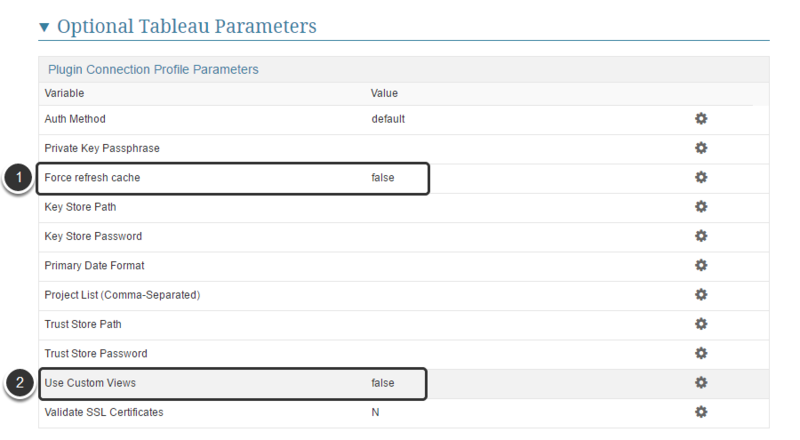 To get full description of each parameter, refer to Tableau Parameters (Mandatory and Optional). Manually: You can also update the Tableau reports list by adding report IDs and Names one-by-one or specified in the CSV file.